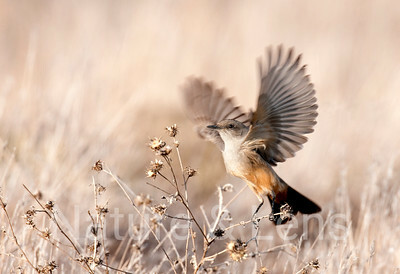 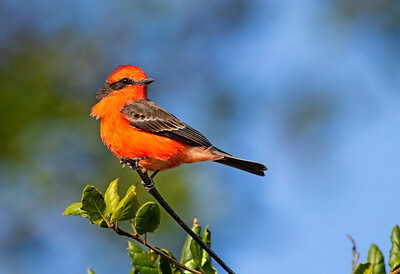 Vermilion Flycatcher is a brilliant exception. 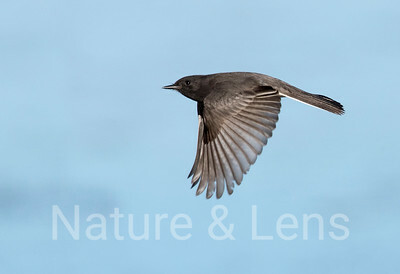 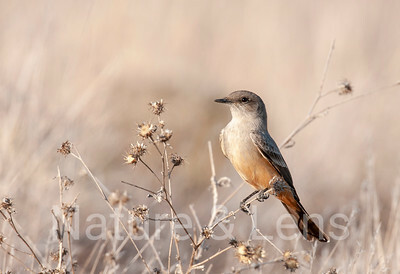 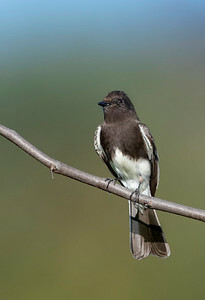 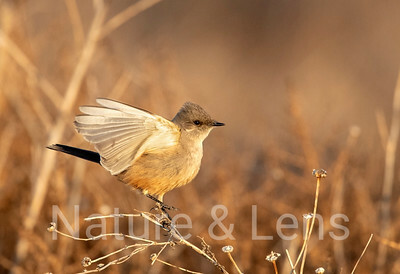 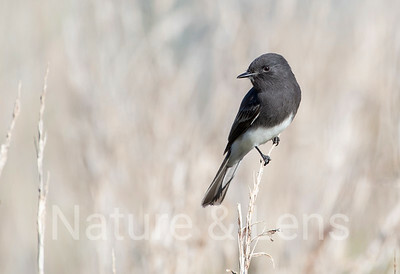 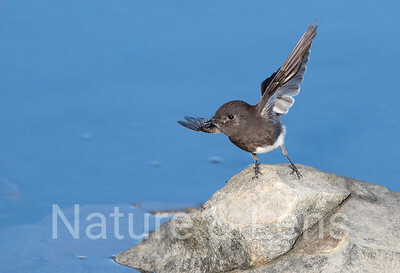 It is usually seen perched fairly low in open areas near water, dipping the tail gently like a phoebe. 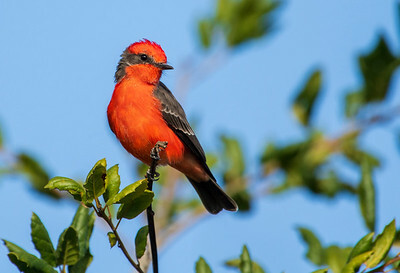 As if the male's bright colors were not advertisement enough, he also displays by puffing up his feathers and fluttering high in the air while singing repeatedly. 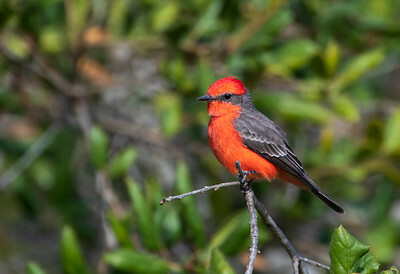 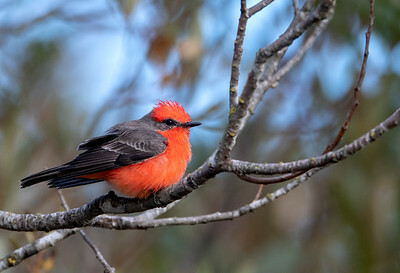 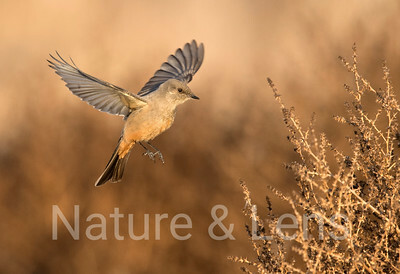 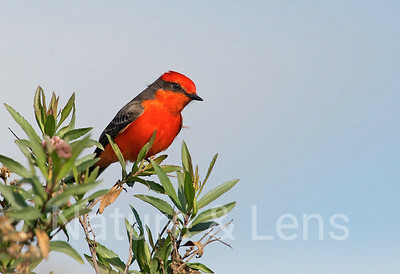 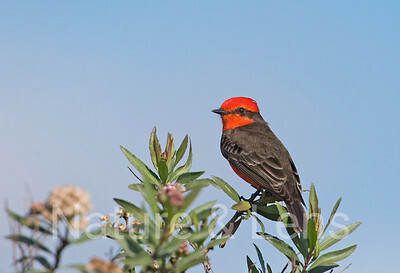 Fairly common in parts of the southwest, the Vermilion Flycatcher is also widespread in Central and South America. 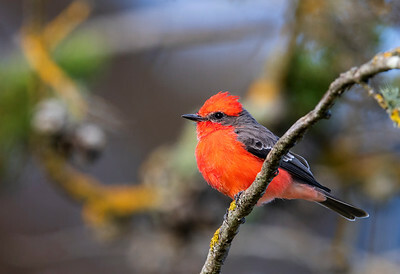 Vermilion Flycatcher, Most flycatchers are drab, but the male Vermilion Flycatcher is a brilliant exception. 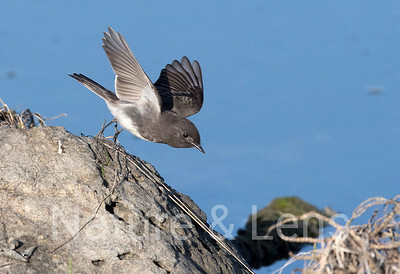 It is usually seen perched fairly low in open areas near water, dipping the tail gently like a phoebe. 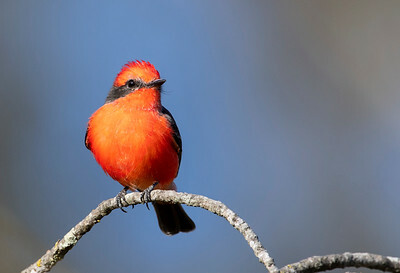 As if the male's bright colors were not advertisement enough, he also displays by puffing up his feathers and fluttering high in the air while singing repeatedly. 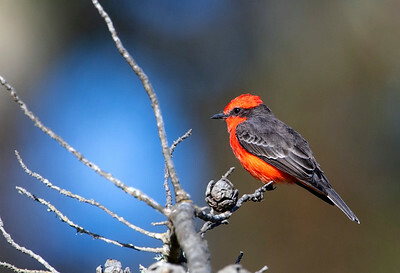 Fairly common in parts of the southwest, the Vermilion Flycatcher is also widespread in Central and South America.